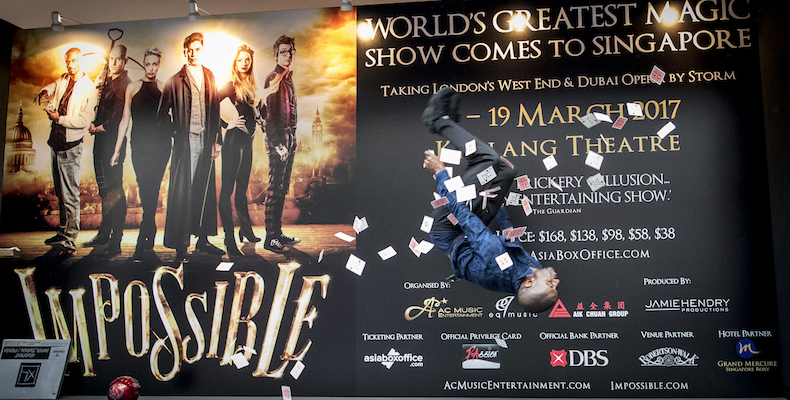 After successful runs in UK and Dubai, the magic show ‘Impossible’ will kick off its Asian tour in Singapore next March. The show has been watched by 250,000 since it opened in July 2015. The show features 6 magicians, each with their own specialty. The line-up comprises of Explosive Street Magician Magical Bones, Daredevil and Escapologist Jonathan Goodwin, Cutting-edge Conjurer Sabine van Diemen, Grand Illusionist Josephine Lee, Boundary Breaking Magician Ben Hart, and Mind-blowing Mind-reader Chris Cox. These 6 magicians will not only perform individually but also collaborate with each other for some tricks.. This show will have a storytelling element as well. Marcus O’Donovan, the Executive Producer of Impossible, promises a journey through the history of magic. “We start in the 1500s, and then we go into the future by the end of the show,” he explained. Audience can expect to see a variety of illusions and even participate in them. “We have everything from close-up magic to very big, grand stage illusions. In fact, in one trick, we’re gonna actually take somebody out the audience. We’re gonna make them disappear. We’re gonna make them reappear on another part of the stage. So you have to see. It’s gonna be some pretty crazy tricks. 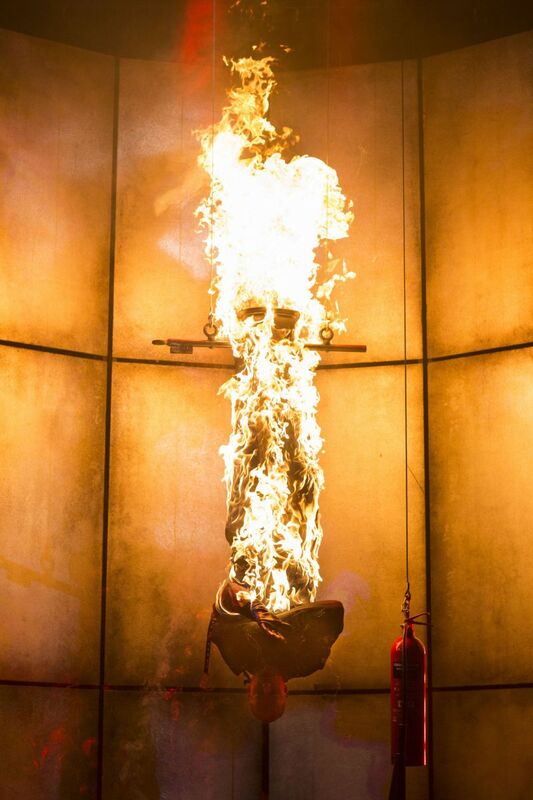 We’ve got guys hanging upside down on fire and escaping. Things you’ve probably never seen before, we’re bringing them to Singapore,” teased O’Donovan, who also promises great lighting, amazing sets, and a few surprises. Essien has started doing magic since he was ten years old and has not stopped since. His career started out as a dancer, which still influences his style and why he chooses sleight of hand. “I’m a dancer. I like dexterity. 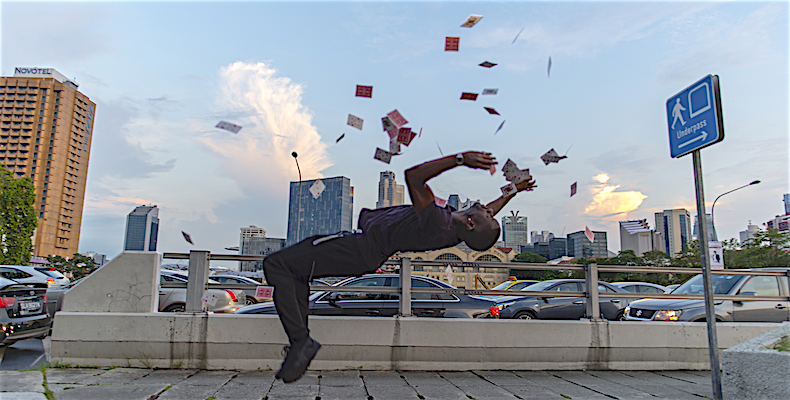 I like playing around with cards and moving them because the movement interests me a lot.” His signature move, the Backflip Card Trick, involves him throwing cards in the air and catching the right one while doing a backflip. LU-king at Michelle Chong as KTV Hostess, LuLu! Win a 'Star Trek Beyond' Action Camera! 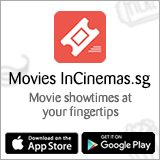 - 5 Sets to be Won! Tom Cruise Injury Halts ‘Mission: Impossible 6’ Production. Henry Cavill Joins ‘Mission: Impossible 6’!